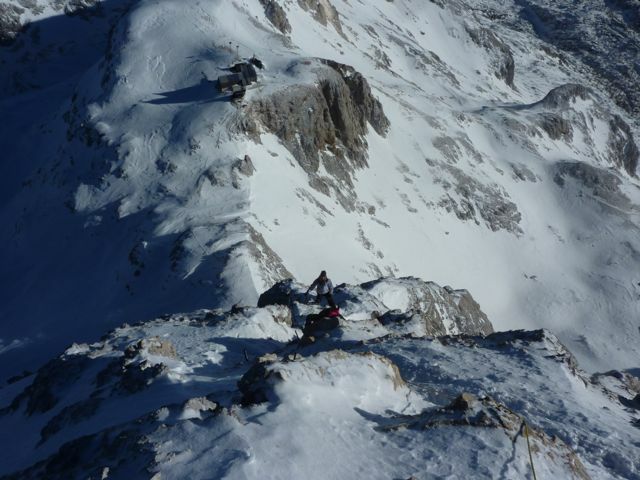 Dominating the surrounding mountains, Mt. 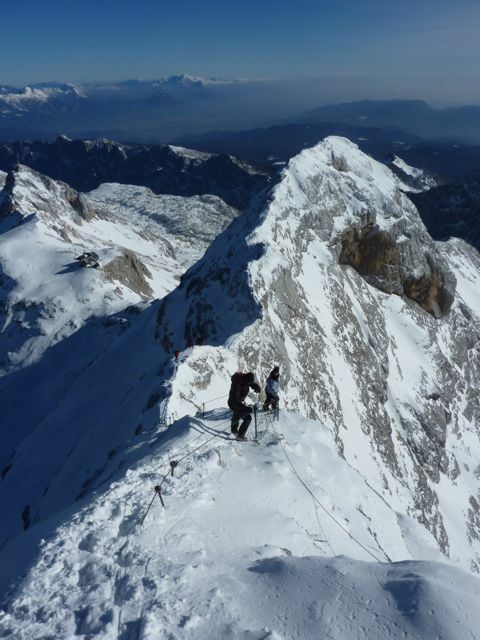 Triglav at 2864 metres is the highest peak in the Julian Alps and also in Slovenia. 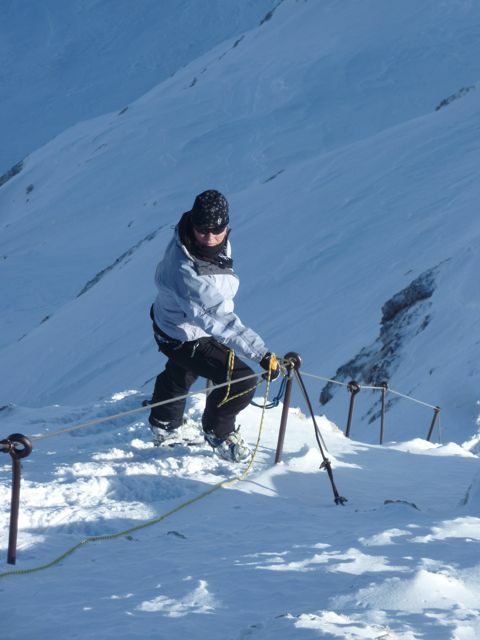 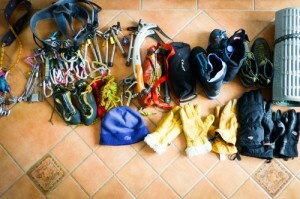 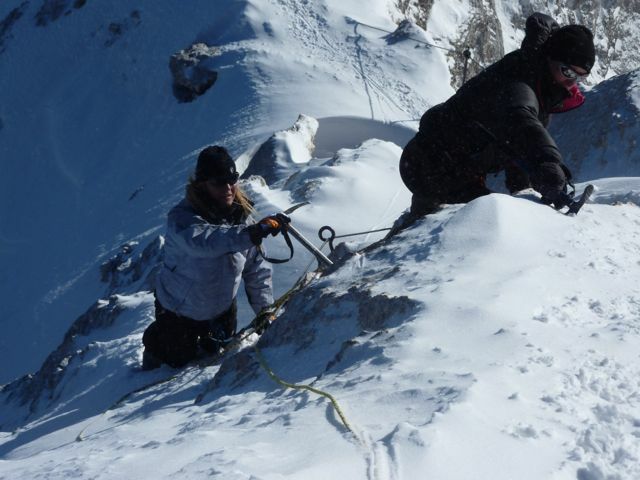 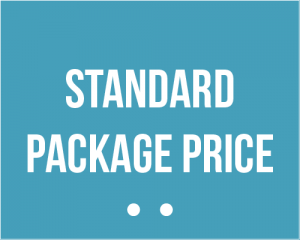 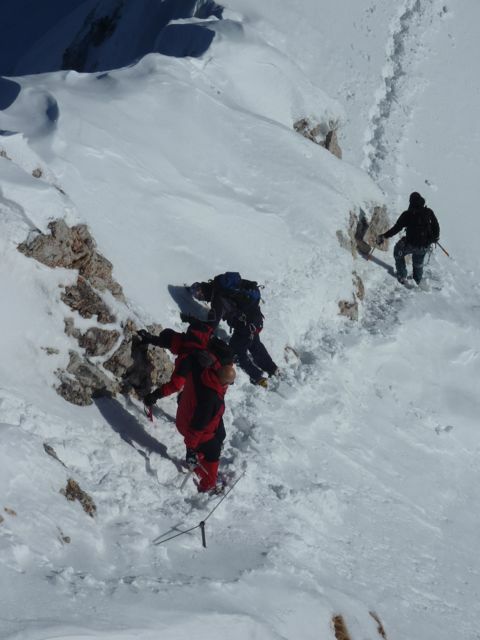 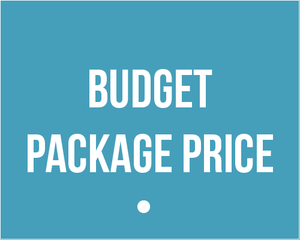 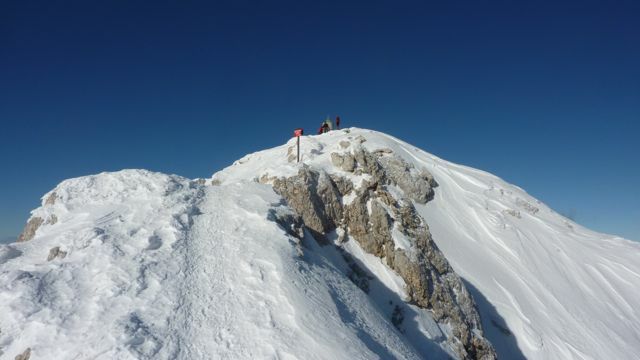 Although there are numerous marked mountain trails that are well used in the summer, in winter it is a serious proposition for the experienced mountaineer. 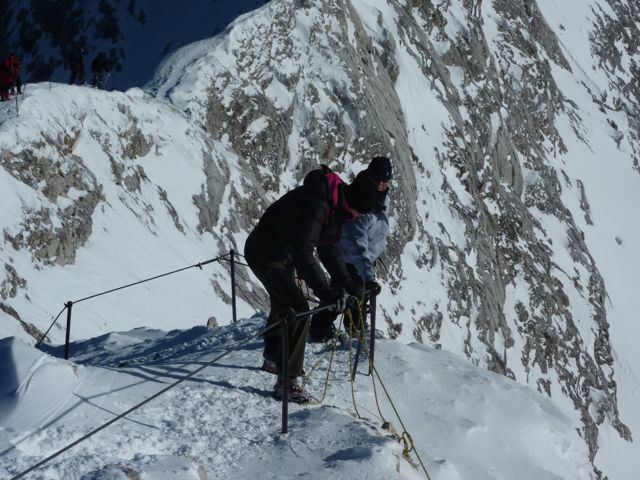 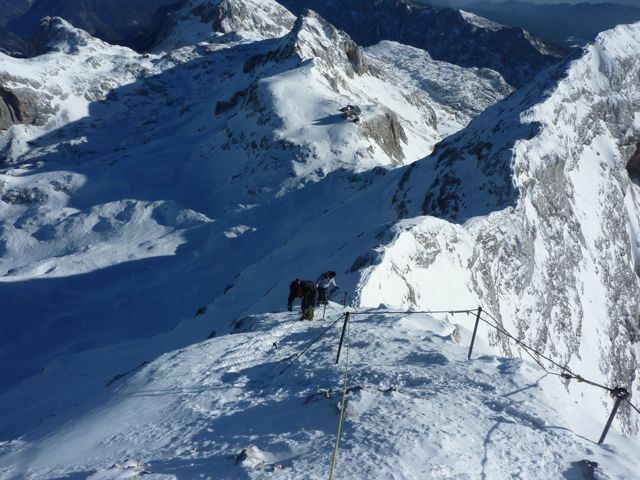 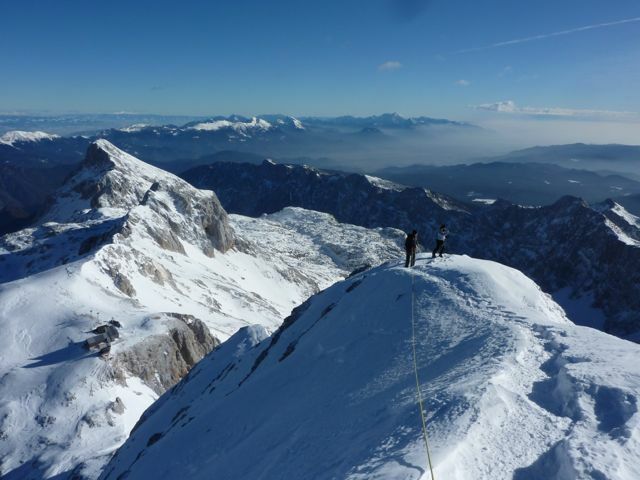 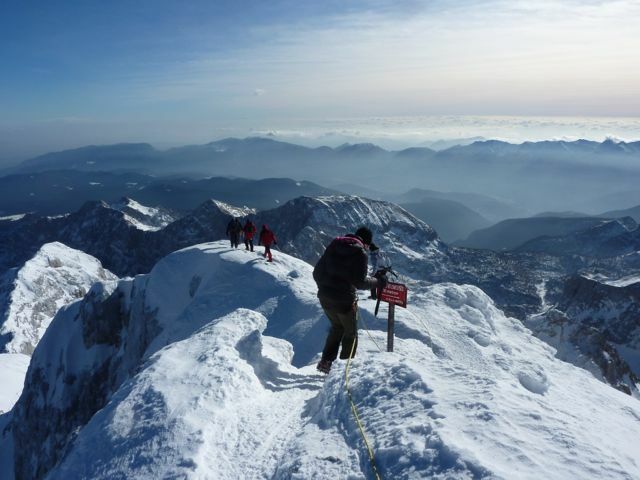 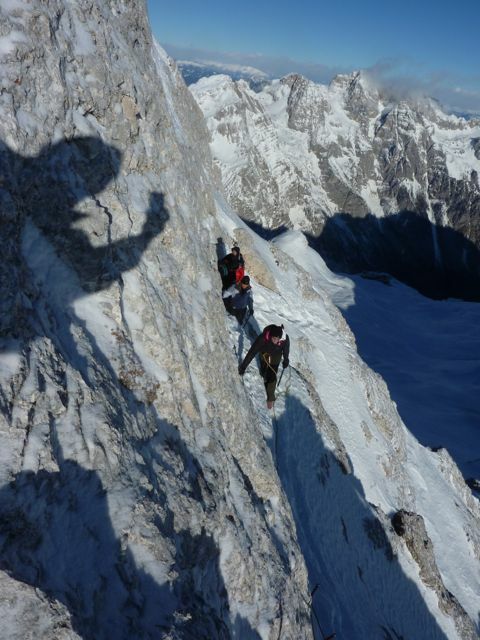 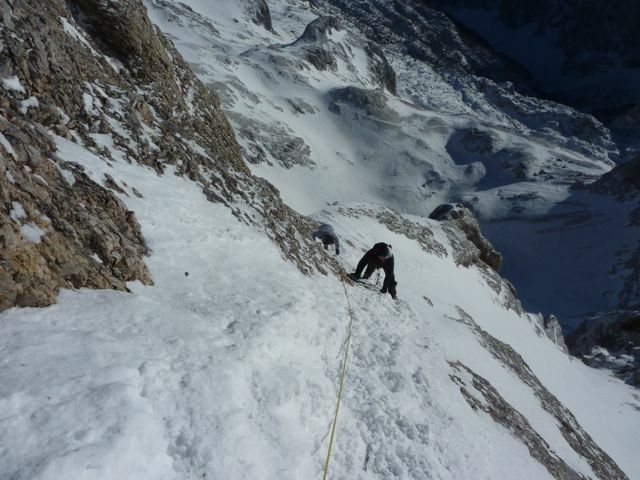 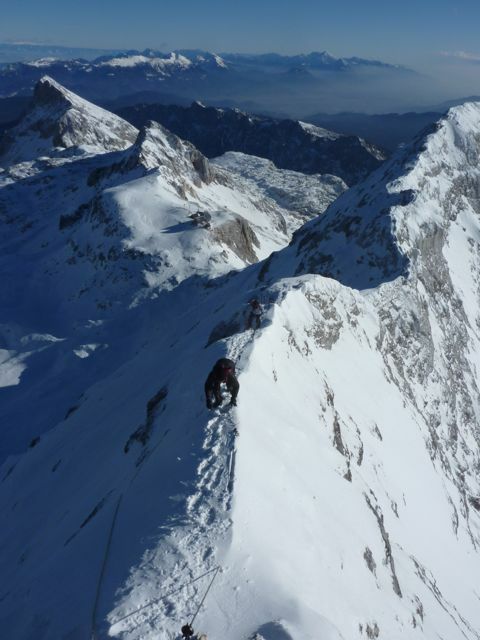 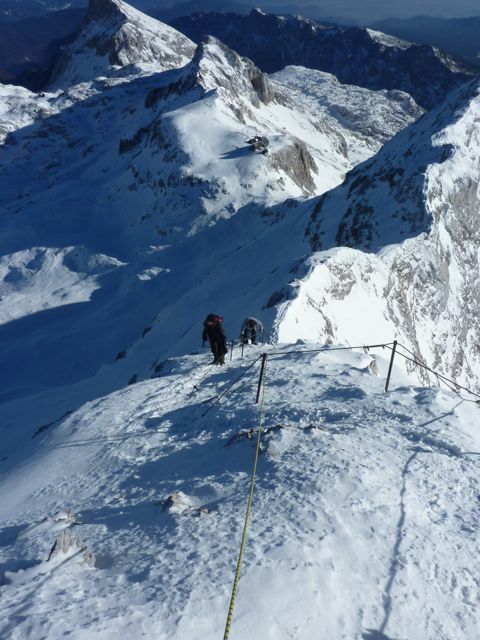 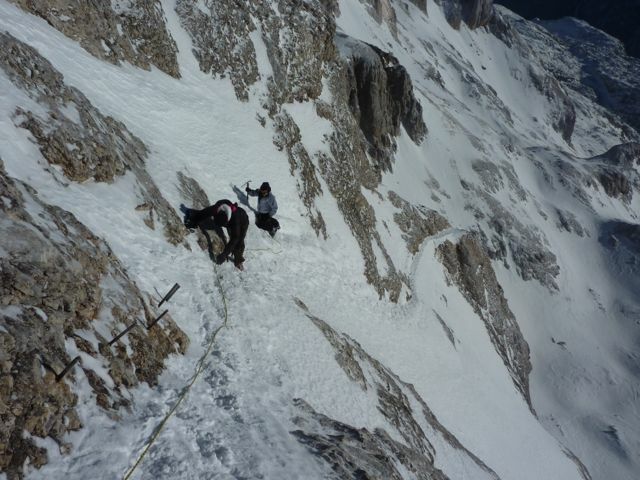 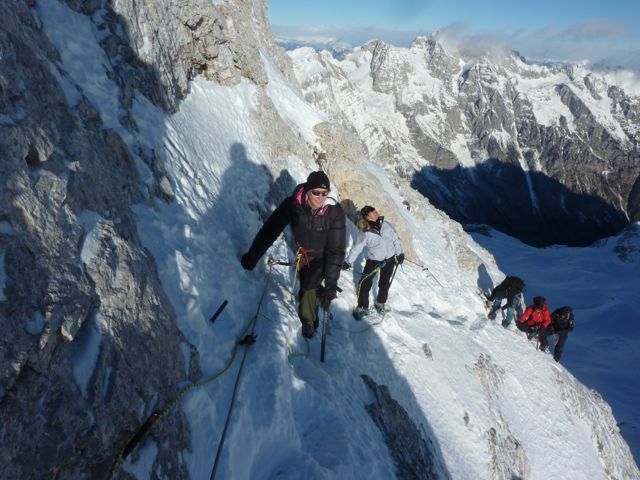 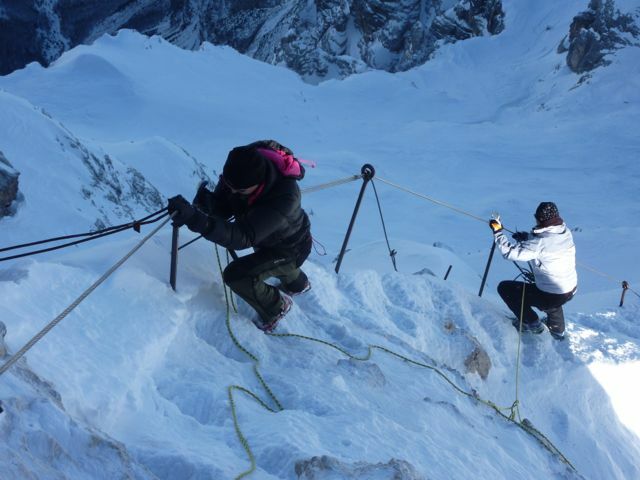 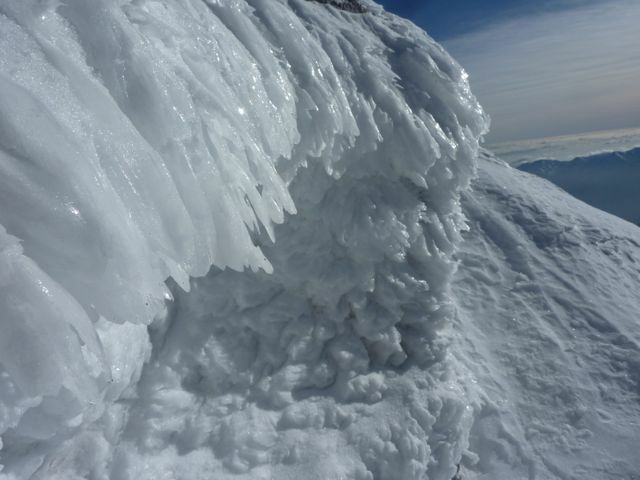 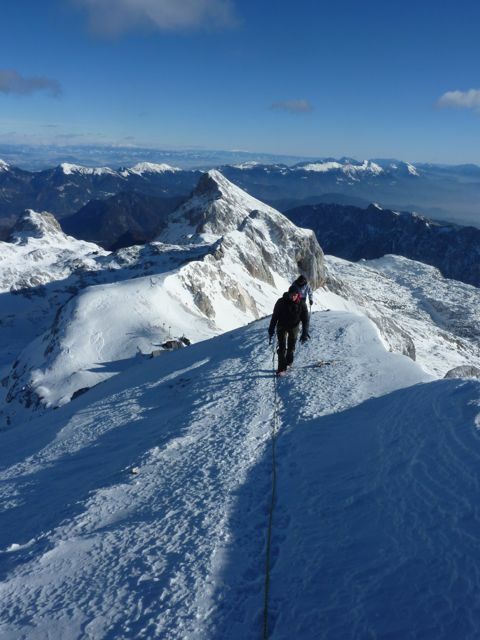 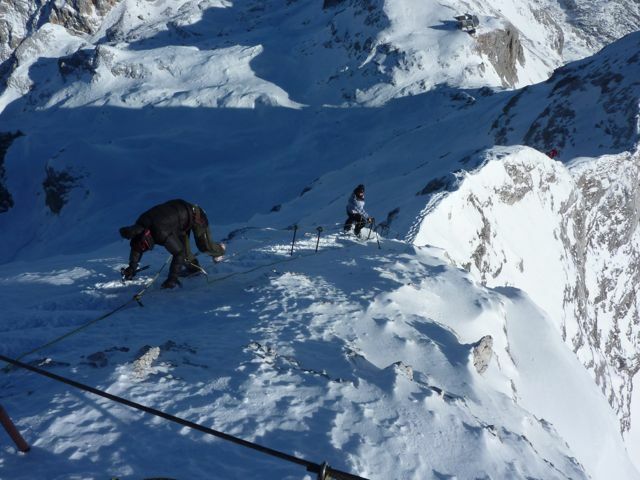 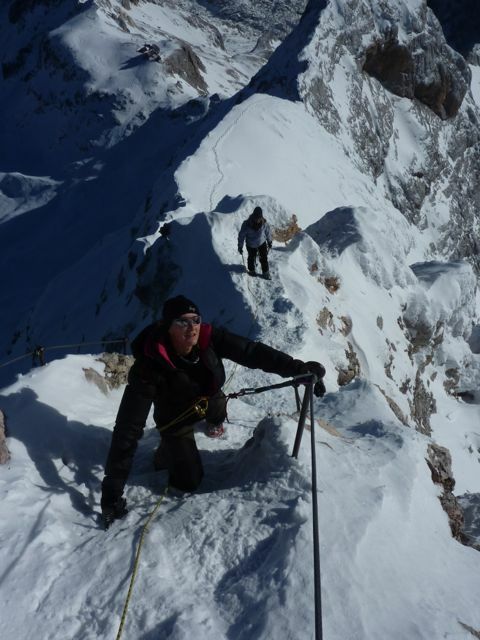 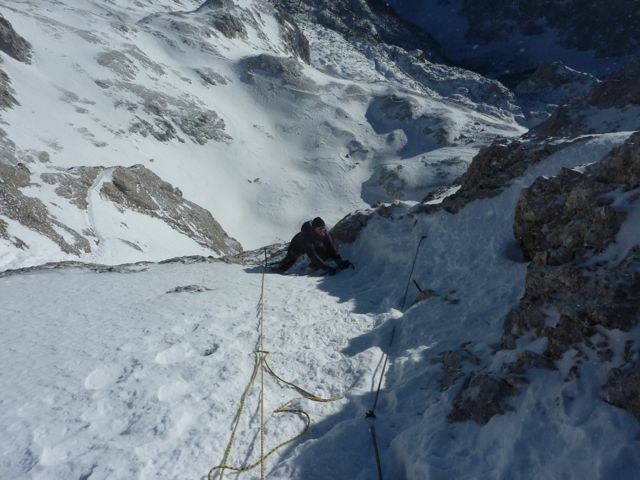 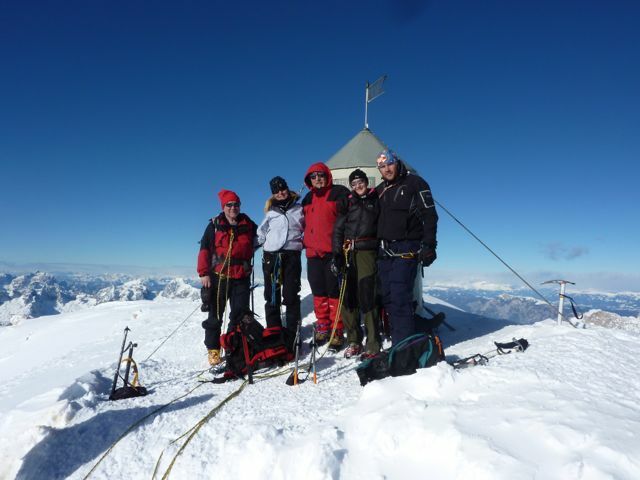 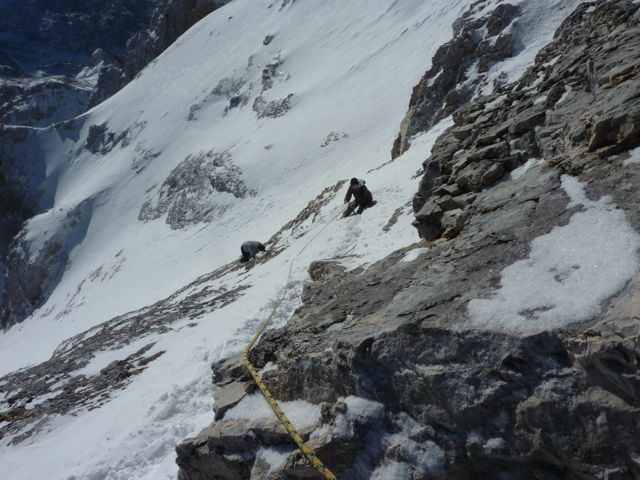 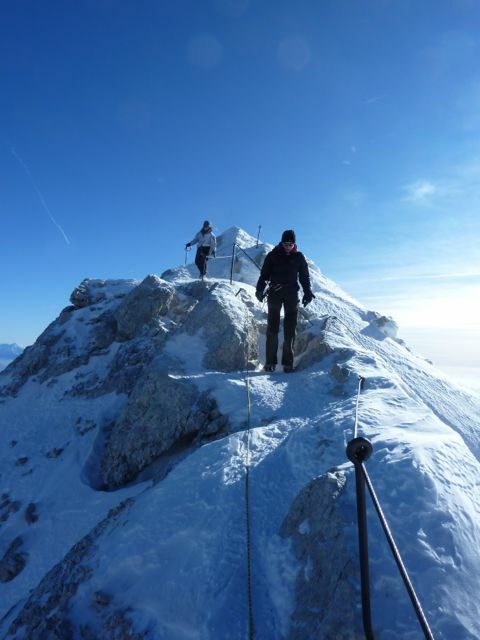 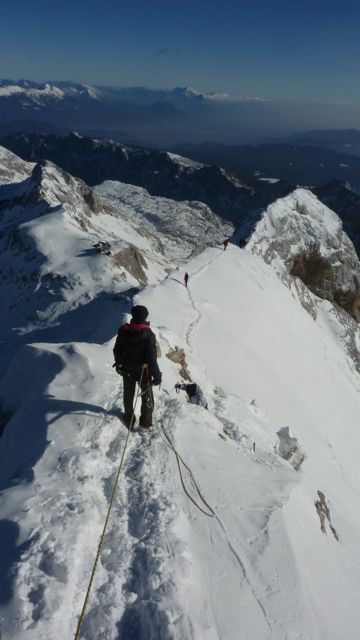 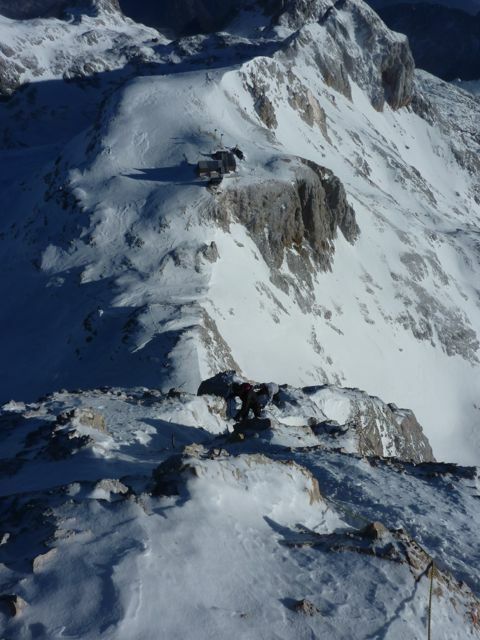 In winter climbing Mt Triglav should not be under estimated – it is a fairly serious excursion demanding sound mountain skills and winter clothing and climbing equipment. 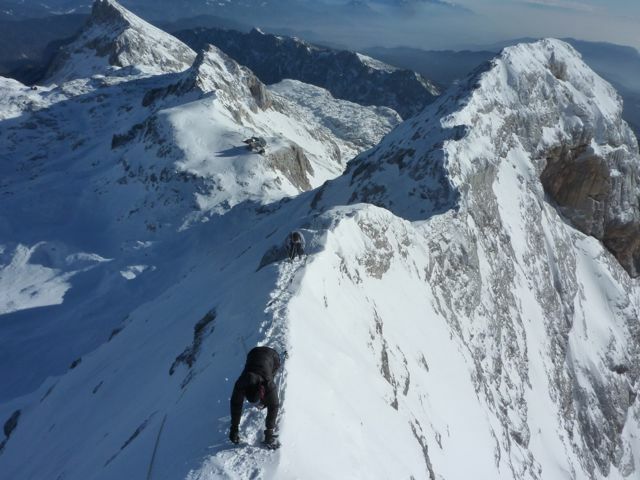 Our winter route takes the easiest trail that is most accessible from Krma Valley to the Kredarica hut where we overnight and next morning begin the ascent via Mali Triglav and then on to Triglav, its higher sister peak. 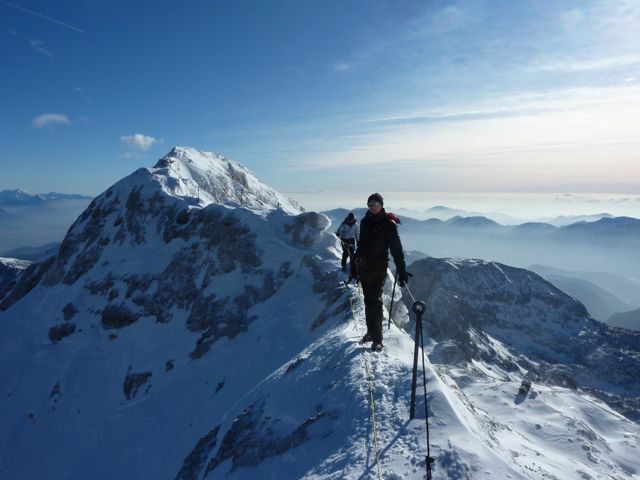 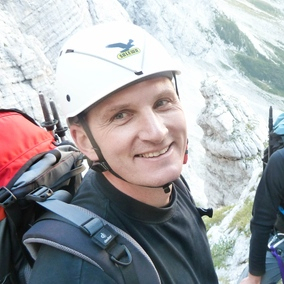 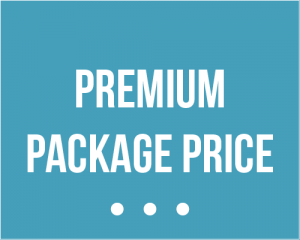 To ensure the best chance of success we provide experienced UIAGM/IMFGA certified Guides who will organise everything so you can relax and enjoy the majestic panoramic views of neighbouring peaks and on a clear day you can see all the way to the Adriatic sea. 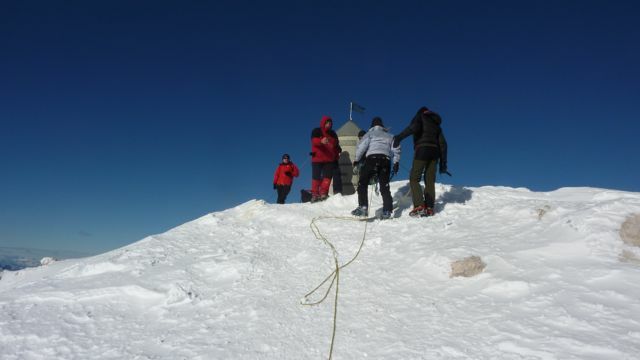 After your ascent we return by the same route to Kredarica hut where you can take refreshments before descending back to Krma Valley. 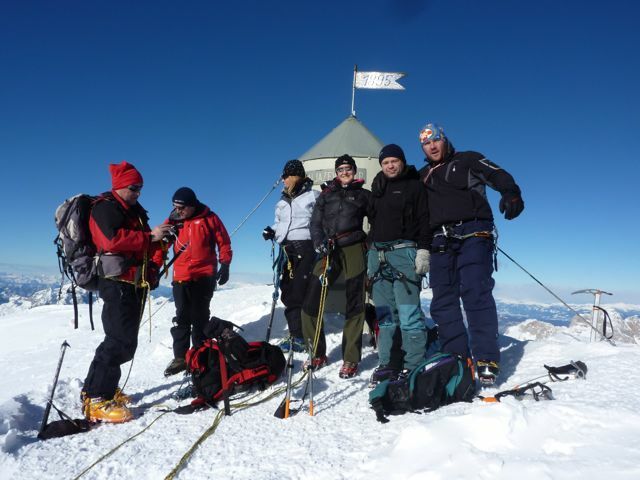 The tour starts in the Krma Valley, from where Kredarica is reached in 5.5-7 hours. 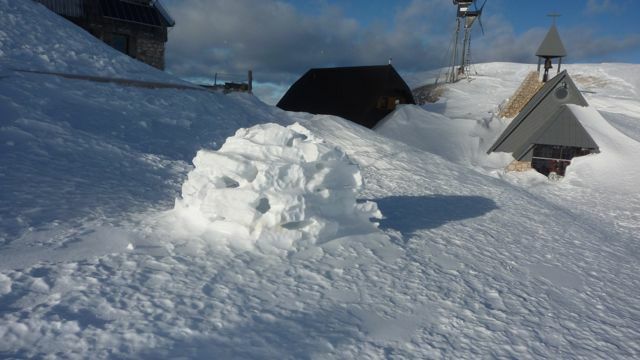 The hut will provide us with well-deserved food, drink and shelter.